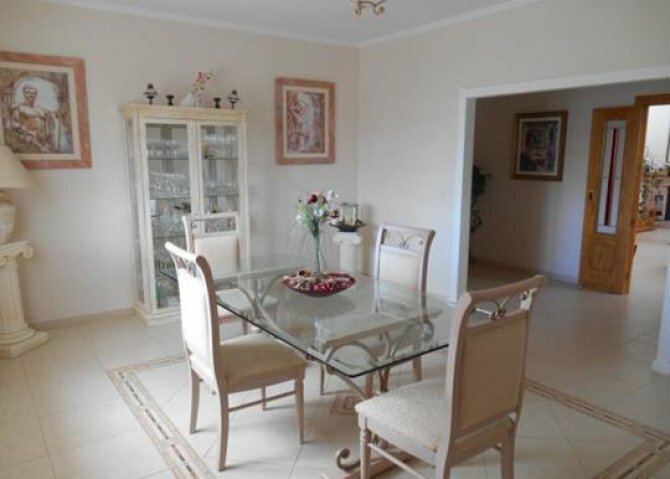 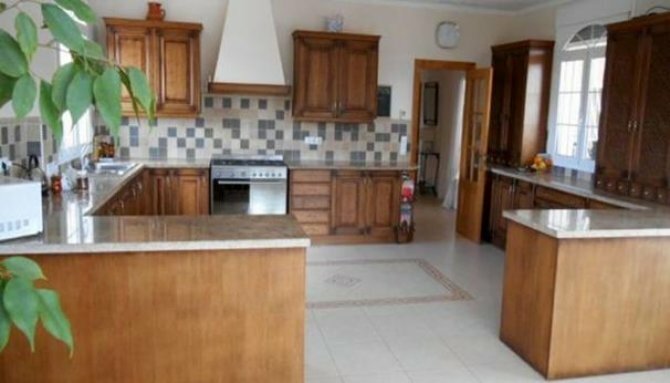 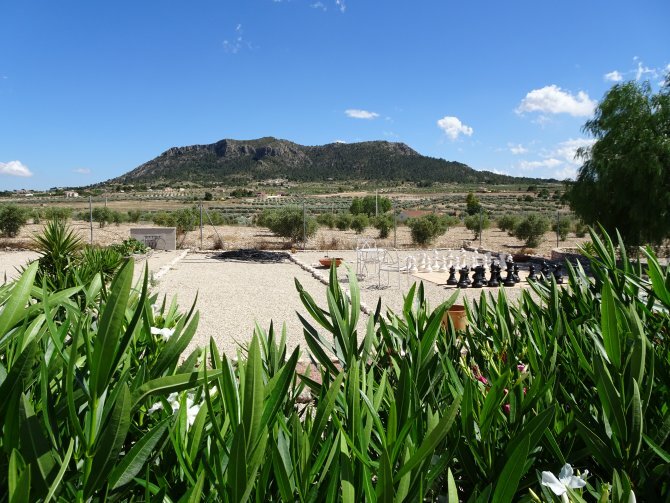 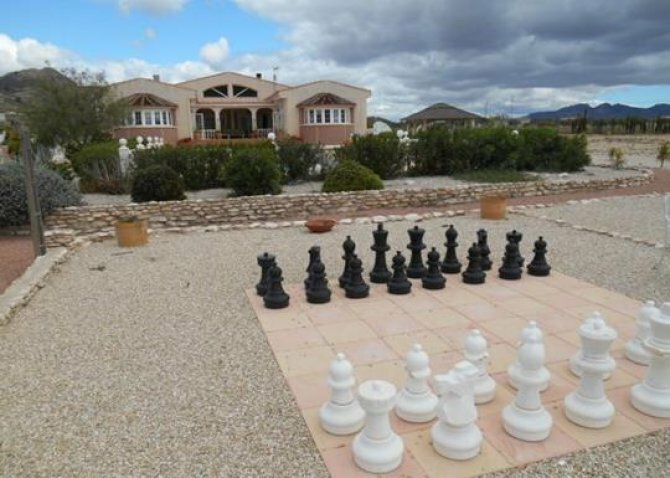 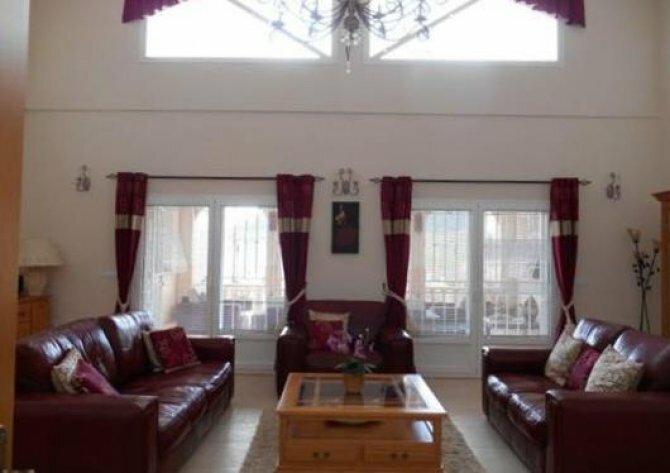 This East Facing, four bed Country Property in Sax is located inland of the Costa Blanca, situated in the ever so beautiful countryside, less than a short five minute drive to the town centre, where you can find all the amenities and facilities you’ll need. Less than 2five minutes from Alicante airport and within an hours drive of the coast.. 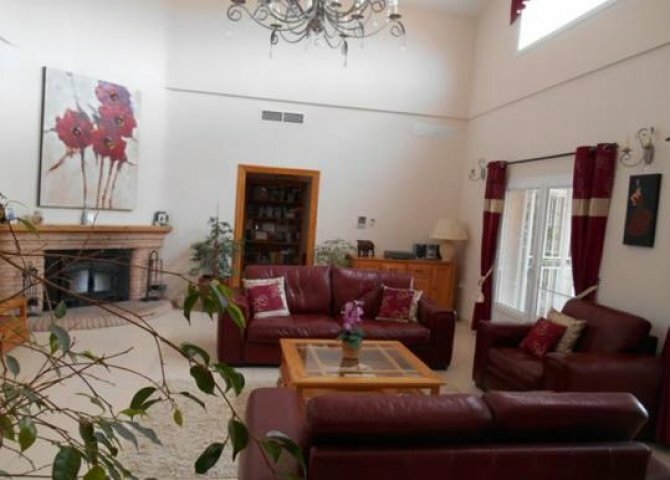 This extremely spacious and impressive 320m2 property consists of a huge entrance hallway; a large separate fully fitted kitchen, with a separate utility-room; spacious family living room with desirable feature vaulted ceilings and two sets of double doors out to the covered terrace at the rear, a perfect space to dine al fresco with magnificent views over the private swimming pool, beyond to the incredible countryside and mountains; separate dining room; four double bedrooms of fabulous sizes, all with en-suite shower rooms, the master bedroom benefiting from an en-suite bathroom bathroom; and family bathroom also. 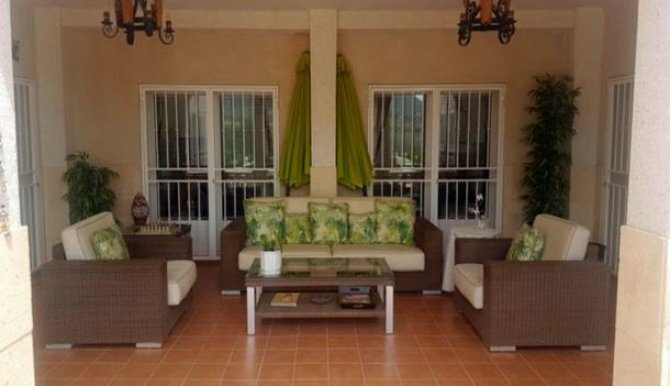 Outside is a well landscaped and maintained garden with mature plants, trees, mainly gravelled with ample private parking, nicely tiled outdoor area by the 11 x 5 swimming pool, plenty of room to relax, sunbathe, dine and barbeque all whilst enjoying the peaceful surroundings and spectacular open countryside/mountain views! 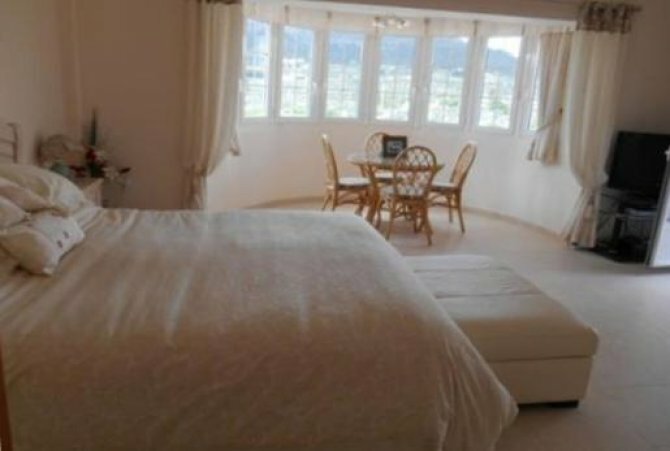 Extras include fitted wardrobes in two of the bedrooms, air conditioning throughout, a feature log burning fireplace, grills, storeroom, wooden shed, and although the property is on mains water and electric, there is a water reserve and solar panels for heating the water.